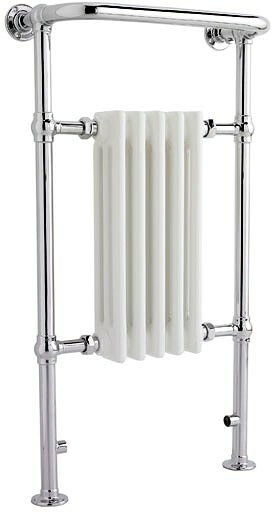 Crown Radiators > Harrow Traditional Heated Towel Rail. 540x965mm. 1875 BTU. 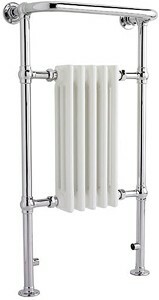 Harrow traditional heated towel rail in white and chrome. 1875 BTUs. Size 540W x 965H mm. 5 Year guarantee: Crown guarantee this Harrow radiator for 5 years.